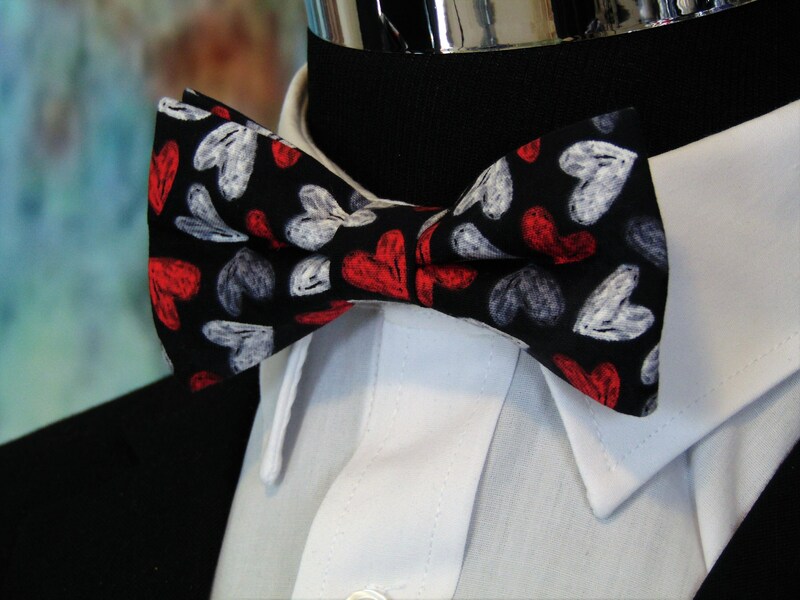 This is the perfect Valentines Day Bow Tie for the one you love. 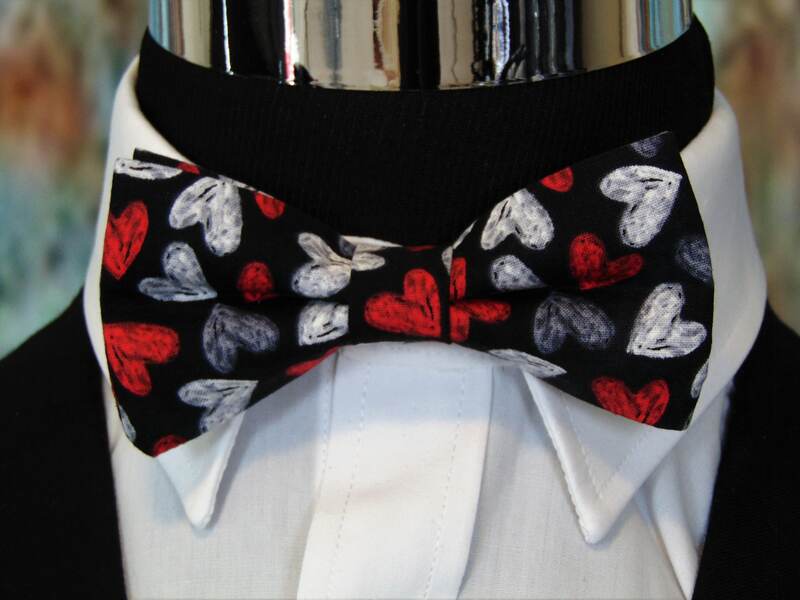 This bow tie for Valentines Day is available in men's or boy's sizes, also available extra large. Features a black background with white, red gray hearts.